Pick and Challenge and two British entertainment channels, available to most households as the free-to-air outlets of pay broadcaster Sky. Pick shows a mix of entertainment from Sky's pay channels, while Challenge is focused on game shows. On October 7, they both introduced new looks with similar logos. Other than the logos, the two channels have different presentation. Idents on Pick feature people on bicycles, while the Challenge idents introduce a cast of animated characters who are enthusiastic about different types of game shows. 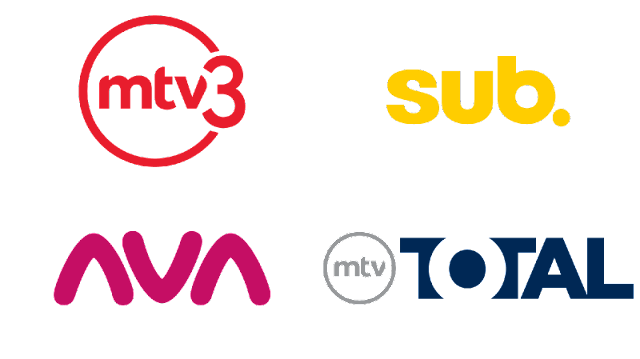 TV 2 is Denmark's most watched television channel, owned by the Danish state but commercially funded. It started broadcasting in October 1988, and at the conclusion of a 25th anniversary tribute that aired on October 5, the channel launched a new on-air identity. It is a part of a larger overhaul of the company's brand architecutre that is being created as a collaboration between TV 2's in-house design department and the independent agencies Designit and Stupid Studio. The new identity brings focus back to the classic TV 2 logo, originally designed by Finn Hjernøe and used since the launch with only minor updates. In the past few decades, the logo has been permanently enclosed by a rectangle. That rectangle has now been removed and the logo stands free once again. The 56 degree slant in the logo is used in all aspects of presentation, including sliding graphic on screen. New idents and break bumpers feature snippets of everyday Danish life, sent in by viewers. The new channel typeface is Alright Sans. The Melbourne Festival is a cultural event that takes place annually in the city of Melbourne, Australia. It is one of the leading cultural festivals in the country, and can also stand up against other multi-arts festivals in the world. This year's edition is currently ongoing and is the first to use a new visual identity, created by Futurebrand. The mark was inspired by the "Hoddle Grid", the layout of streets in Melbourne's city center which is located at a 20 degree angle in relation to the surrounding streets. Futurebrand also created a visual language for communication with lines in different colours, referring to the festival's theme of "connections". Iberia is the national airline of Spain, incorporated in 1927 and still the country's largest airline. Today, it is owned by International Airlines Group, which also owns British Airways. After a few weeks of leaks to the press, the airline officially unveiled a new corporate identity today, due to launch in November. The rebrand was handled by Interbrand. The previous identity with its IB mark and striped livery had survived ever since 1977 with only minor changes. The new logo evolves the mark into a tailfin, controversially dropping the royal crown in the process. Here's a round-up of new logos revealed this past September. If you feel there's something missing, please do post a comment below. Kanal 11 is a Swedish television channel. Formerly known as TV11, it was acquired to Discovery Communications last spring. On October 1, it was relaunched under a new name to align it with the company's other Swedish entertainment channels, Kanal 5 and Kanal 9. It is now positioned as an entertainment channel for young women. The new logo and on-air identity were designed by Swedish broadcast design agency Dallas Sthlm. SportKlub is a suite of sports channels that broadcasts to former Yugoslavia. On October 1, the channels were given new looks as part of a new brand architecture devised by British broadcast design agency Lambie-Nairn. The identity is largely constructed around a red shield device. 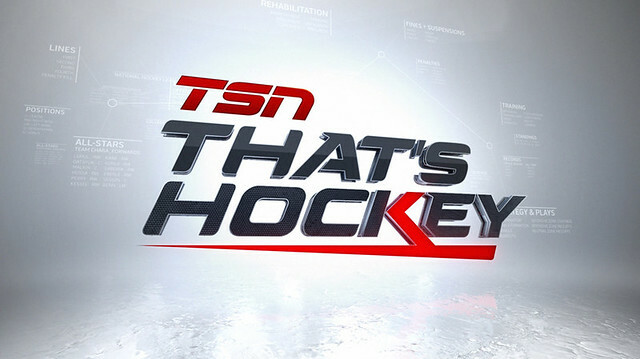 That's Hockey is a television programme that airs most days of the week on TSN, Canada's leading sports network. It revolves around general talk about hockey and matches of the day. It recently launched a new look, created by a team of 15 at Troika in Los Angeles. Troika creative an extensive package with a massive amount of elements, designed to stay fresh throughout the year. The look is polished, fitting for a leading hockey show. The Royal Academy of Engineering is what is says, the national academy for engineering in the United Kingdom. Last year they introduced a new visual identity, created by the creative agency Firedog. The agency looked at the old symbol and tried to making it stronger and look less like an elastic strip. Both the symbol and the type has been made more vivid and robust. The symbol is flexible and comes in a few different colour variations. Firedog also created a "flexible dimensional thread device" inspired by the symbol that can be used as a supportive graphic device. They also developed a supporting visual language. NBC is an American television network, and one of the oldest television networks in the world. At the start of this TV season, it introduced a refreshed look. It replaces the "More Colorful" graphics introduced in 2009. That package put the emphasis on different colors, which is downplayed in this version in favour of more white space. In recent year's, NBC's famous peacock logo has been given different effects and treatments, and this package introduced a new version with a stylized glass effect. The typography uses the Gotham-like Sweet Sans, aligning the network with some other NBC divisions that have been using that typeface for some time. 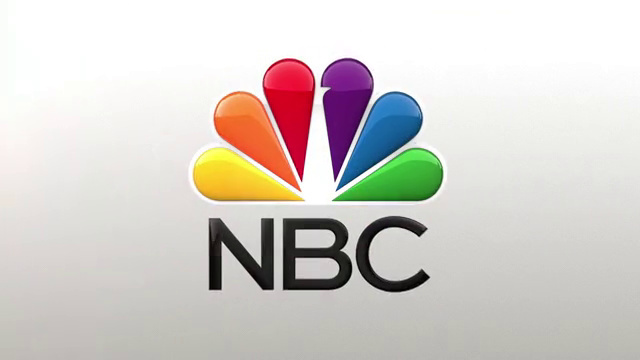 That typeface has also been adopted for the NBC letters in the logo, which seems to mean they are about to give up on the lettering used since the current peacock logo was launched in 1986. 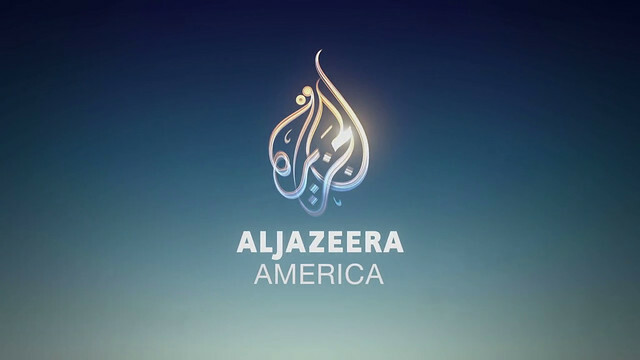 August 20 saw the much anticipated launch of Al Jazeera America, the US branch of the Qatari news network, bringing straight news and in-depth features to the nation. The on-air identity was developed with New York design studio Trollbäck + Company and included on-air IDs, show opens and all sorts of graphics. The on-air look had to differ from that of other Al Jazeera network to create a clearly American voice that connected with the entire country. Trollbäck say their work "captures the core qualities of energy and illumination", as illustrated by trails of light flowing around the world and the country to form a soft version of the Al Jazeera logo. RNW (an abbrevition of Radio Nederland Wereldomroep, or Radio Netherlands Worldwide in English) is a media organisation that serves as the international broadcaster of the Netherlands. In the last few years it has experienced severe budget cutbacks which has meant the closure of its Dutch and English services and an increased focus on promoting free speech where it is threatened. Last month, it launched a new website and introduced the new symbol we see above. The National Bank of Poland (Narodowy Bank Polski in Polish) is Poland's central bank. It recently introduced a new visual identity, created by Inno+NPD in Warsaw. It keeps the basic colours of the previous identity, but updates the typography. The name is now written with a typeface called Le Monde Journal. Contrex is a major French brand of mineral water, positioned as the "healthy" water for women who want to stay thin. Recently, it has been given a new look by French branding agency Dragon Rouge. In addition to a redesigned bottle and refreshed label, the agency worked to infuse a sense of fun in loosing weight, positioning Contrex as a sustainable alternative to diets. USG Corporation is an American manufacturer of construction material. The abbreviation once stood for United States Gypsum, and the company was formed in 1901 and has had a national reach for many years. This week, on October 1, it introduced a new visual identity while also announcing new sponsorship deals U.S. and Canadian Olympic teams. Rotary International is an organisation that brings together leaders of business and other fields to service the community, made up of about 34,000 clubs around the world. American brand consultancy Siegel+Gale have worked with Rotary for about two years to review their brand and their communication. This resulted in a "global public image initiative" that launched in September. It includes a refreshed visual identity. The well recognised wheel symbol wasn't changed, but has been accompanied by a wordmark that clearly communicates its name. It will be used by both Rotary International and the charitable organisation Rotary Foundation, thus uniting their identities. The Thomas Cook Group is an international travel and leisure company, formed in its present form in 2007, but tracing its roots back to 1841 when its namesake founded a tour operator. Yesterday, October 1, it introduced a "sunny heart" as its new corporate symbol, to be used across the corporation. This symbol was originally introduced last year for its Scandinavian subsidiaries, a featured on this site. It was created by Swedish design agency Happy F&B, but they were reportedly not involved in this exercise that sees the sunny heart adopted across the corporation. This new version has new typeface and the symbol has more depth and a sun flare effect. The sunny heart will be used across the corporation, but some brands will merely use it as an endorser and keep their current expressions. Great American Country is an American cable TV network dedicated to country music, owned by Scripps Network who also own Food Network and Travel Channel. As music television in general is struggling, the network has developed over time into "an all-American lifestyle viewing destination". The reflect this, it has unveiled a new logo, which launches today, October 1. The new look coincides with the launch the network's high-definition channel. The network goes against a general trend, downplaying its initials in favour of the full name. The logo is inspired by the American flag. It was created by Big Block Design Group in Los Angeles. Seat Pagine Gialle is Italy's legacy telephone directory company, publishing both the yellow pages (Pagine Gialle) and white pages (Pagine Bianche) and maintaining telephone and online services. Last week, on September 23, it unveiled new logos for its main products. The new logo system established letter icons for each product, such as a golden G for Pagine Gialle, in the formed of curved three-dimensional lines. They were designed to be dynamic, modern and legible.